For hundreds of years people have been using plant resins and flower oils for adornment, to balance emotions, and to enhance health. Using aromatherapy to support fertility treatments is becoming increasingly popular. 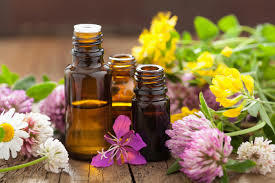 The practice of aromatherapy is based on many traditional uses of natural plant oils and plant resins, including age old favorites like lavender, frankincense and the ever refreshing peppermint essential oils. But is it safe for them to use aromatherapy and topical essential oils while they TTC (trying to conceive)? During the TTC stage when you’re trying to get pregnant, you will want to be especially careful not to use any essential oils that your doctor tells you to avoid, or oils that will interfere with fertility treatments you are undergoing. If you are taking hormones or drugs like Clomid or Lupron or any sort of gonadotropins, definitely discuss this with you fertility doctor. Some aromatherapy treatments or oils may counter indicate medical procedures such as IVF, or In Vitro Fertilization. This is because some essential oils could possibly affect your hormone levels, which are monitored and controlled very strictly during infertility treatments, so a few types of essential oils must be avoided while you are trying to get pregnant. In general, aromatherapy is considered safe during IVF, but topicals should be ok’d before moving forward with application. Other aromatherapy treatments and oils are considered safe and are a pleasant way to enliven your senses as you prepare for pregnancy. As with many other holistic treatments, such as massage, acupuncture, herbal medicine, chiropractic care, etc.) it is important to discuss the use of any essential oils with your health care practitioner or infertility doctor, particularly any treatments that are topically applied (massaged into the skin). Dilute essential oils before using them on your skin, including the oil lavender which people often apply neat (undiluted) to the skin. Limit use of a diffuser or vaporizer for 20 minutes per hour. Once you become pregnant, cut down your use of aromatherapy or avoid essential oils completely during the first & second trimesters.